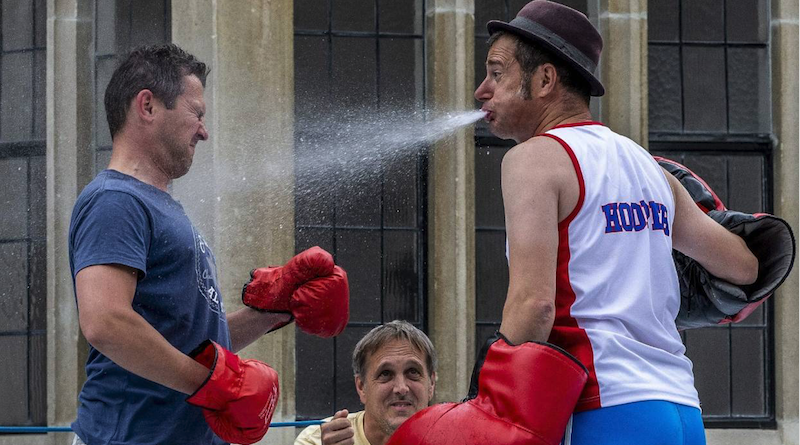 An English busker who boxes with his audience has won the Iron Chicken award at the Bread & Circus – World Buskers Festival. Performer Fraser Hooper was presented the award for best busker at the festival at the Isaac Theatre Royal on Sunday night. Hooper, who grew up in London but moved to Wellington in 2010, has performed at the buskers festival in Christchurch about a dozen times. He has performed on the street for about 29 years in more than 30 countries.